Samuel James Cassell Sr was born on the 18th November 1969, in Baltimore, Maryland USA, and is a former basketball player, who played 15 years in the NBA for such teams as the Houston Rockets, Boston Celtics, Dallas Mavericks, and Phoenix Suns, among others. After his retirement, Sam became an assistant coach, firstly for Flip Saunders at the Washington Wizards, and then for Doc Rivers at the Los Angeles Clippers. Have you ever wondered how rich Sam Cassell is, as of mid- 2016? According to authoritative sources, it has been estimated that Sam Cassell`s net worth is as high as $23 million. In addition to being a professional basketball player, which has been the main source of his net worth, Sam`s net worth has also benefited from his work as an assistant coach. Sam attended the Paul Lawrence Dunbar Community High School, and following matriculation, he enrolled at DePaul University, however, he was ineligible to play for the college basketball team, and moved to San Jacinto College in Houston, and played there for one season before settling at Florida State University. While there, he became one of the best players, averaging 18.3 points, 4.9 assists, and 4.3 rebounds per game in his senior year. After graduation, he entered the 1993 NBA Draft, in which he was selected as the 24th overall pick by the Houston Rockets, marking the beginning of his professional career and establishment of his net worth. He played for the Rockets until 1996, when he was traded to the Phoenix Suns, alongside Mark Bryant, Chucky Brown and Robert Horry in return for Charles Barkley. In his first year at Houston, Sam played 66 games, 6 of which were starts. He averaged only 6.7 points, but had 22 points and seven assists in game 7 of the Western Conference Semifinals against Phoenix Suns; the Rockets won the NBA Championship, defeating the New York Knicks. The following year, Sam played in 81 game, but started only one. He averaged 9.5 points, and in his last season with the Rockets, Sam averaged 14.5 points and 4.6 assists in the 61 games he played, but the team defended their NBA Championship successfully. At Phoenix, he averaged 14.8 points, but after 22 games in the next season, he was traded to the Dallas Mavericks for Jason Kidd, Tony Dumas, and Loren Meyer, with A.C Green and Michael Finley. Sam played only in 16 games for his new team, before he was traded to the New Jersey Nets. Regardless, his net worth was rising. 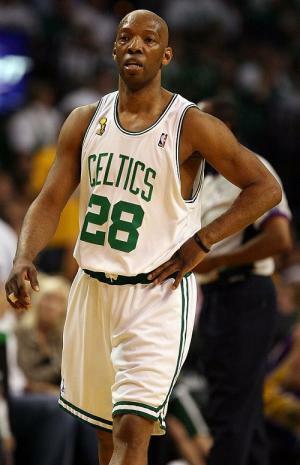 Sam signed a new contract with the Nets, and played for them until 1999, when he was traded to the Milwaukee Bucks. While there, he played his best basketball, averaging nearly 20 points and 9 assists per game. He played for the Bucks until 2002, when he was sent to the Minnesota Timberwolves. In his first season at Minnesota, Cassell had 19.8 points and 7.3 assists per game, continuing with the great performance from the time he was playing for the Bucks. Cassel was then traded to the Los Angeles Clippers, and played for them until the 2008 season, when he became an unrestricted free agent and signed with the Boston Celtics, where he won his third NBA Championship; however, after the season ended, Cassell decided to retire. During his successful career as a player, Sam won several awards and recognitions, including the selection for the NBA All-Star game in 2004, and NBA Second Team the same year. After retirement, he started a career as an assistant coach: he worked for five years as assistant coach of the Washington Wizards, and since 2014, he has been an assistant coach for the Los Angeles Clippers. Regarding his personal life, Sam Cassell has a son Sam Cassell Jr, with his wife Tonya Cassell. Other details about his personal life are unknown in the media. 2 Attended Dunbar High School in Baltimore, MD. 3 Attended Florida State University. 4 Attended San Jacinto Junior College. 5 Selected by the Houston Rockets 24th pick overall of the 1993 NBA Draft. Has played for Houston (1993-1995), Phoenix (1996), Dallas (1996), New Jersey (1997-1998), Milwaukee (1998-2002), Minnesota (2003-2005), Los Angeles Clippers (2005-2007), and Boston (2007-2009).